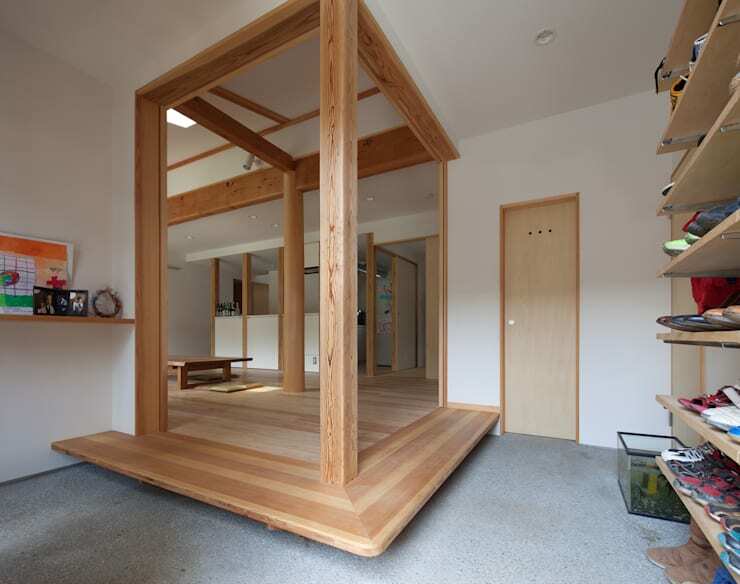 Whether you live in a small town or a big city, chances are you've seen a Japanese-inspired box-shaped home. The style is common because of its simplicity. However, if you're thinking of getting a Japanese-themed home that stands out from the rest, the we have exactly what you're looking for. 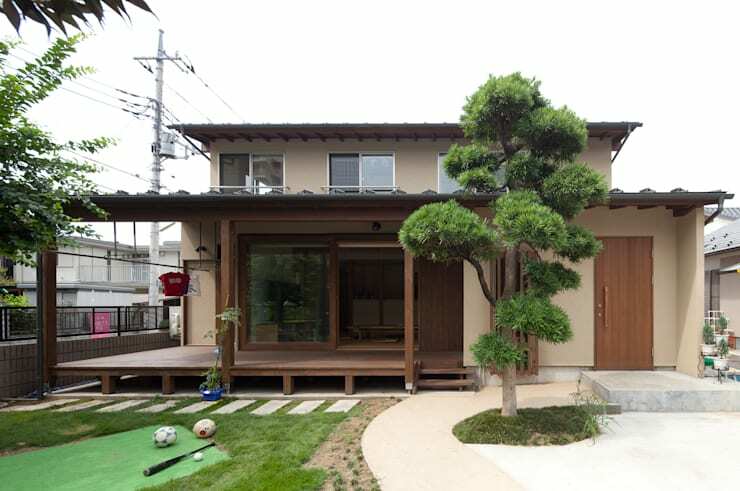 Inspired by traditional home styles in Japan, this modern house is uniquely zen. Perfectly interwoven with its lush garden landscape, this home is the best place to escape the busy urban life, have a seat and feel at peace. 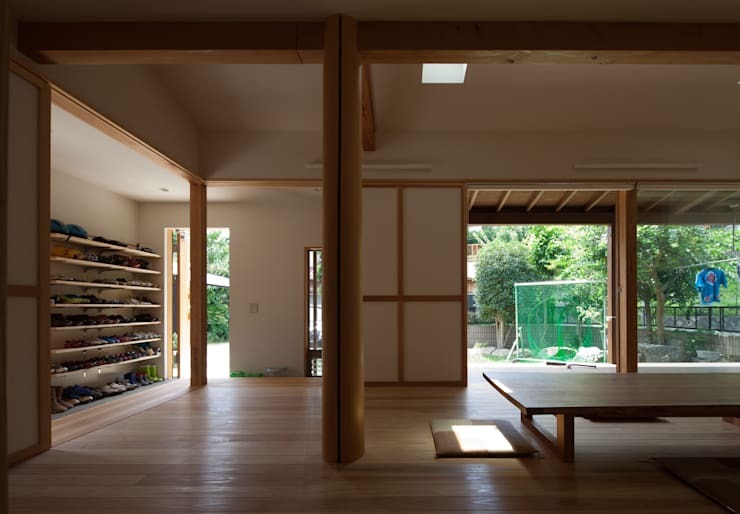 Although the design is simple, the architect, Naomi Tanaka of Atelier has created a unique style that makes the house stand out by incorporating traditional Japanese design elements into a contemporary style home. It features a facade with a large sliding glass door that's open and inviting, perfect for welcoming guests. 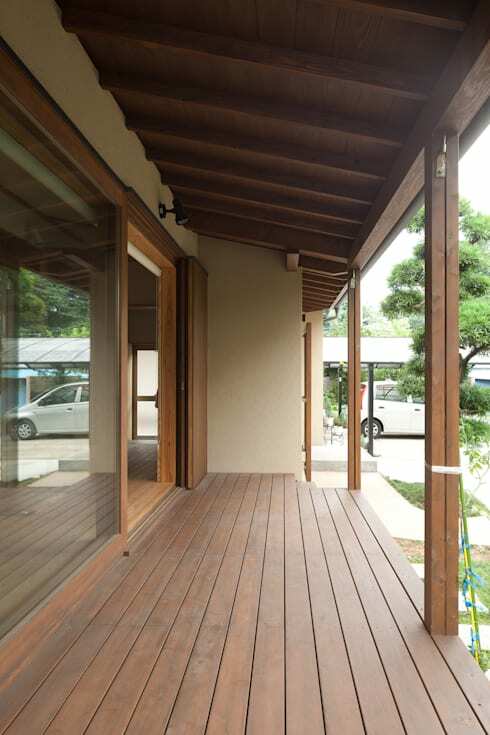 The wooden terrace that runs the length of the house is called 'engawa' in Japan, a uniquely Japanese design element. It is a multi-purpose area that when applied to a modern home gives a touch of traditional Japanese design, as well as being a perfect area to entertain your guests. Opening the wide glass doors seamlessly connects the interior of the house to the lush green landscape outside. 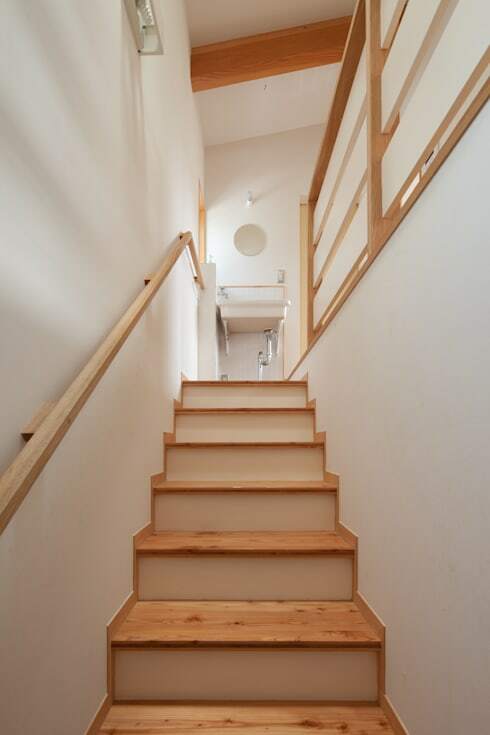 When you enter the house through the front door, you will be greeted by a large foyer, or 'genkan' in Japan. It is an area where both residents and visitors remove their shoes and change into indoor slippers before entering the home. In this case, the genkan is a spacious entryway with a large shoe cabinet to accommodate a large number of guests. 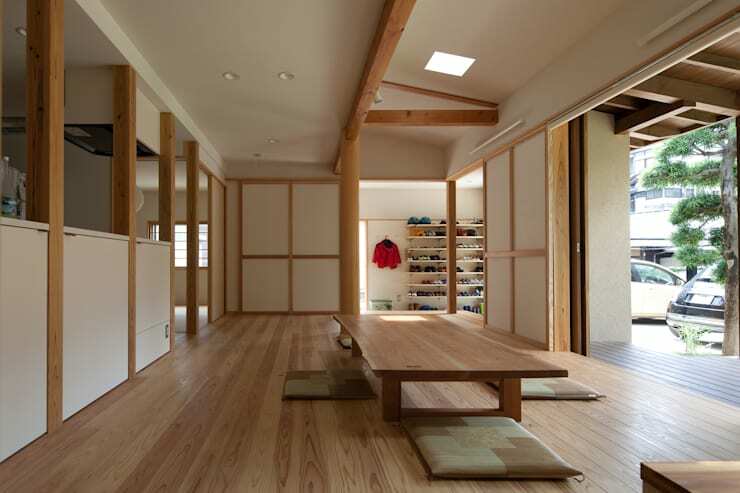 The central area of the house is the airy and open living room adorned with beautiful Japanese furniture and cushions that serve both as decorative and functional pieces. One notable feature of this room's layout is the open concept. Nothing obstructs your view from the inside to the outdoor space giving a sense of limitless space. You can even enjoy your garden landscape anywhere inside the living room. The living room table is located near the kitchen area and the private room. The space seamlessly combines both modern and traditional architectural influences. The room right next to the kitchen is called a 'tatami' which can be used in various ways, such as a living room, a tea room or a bedroom. Separated only by the counters, the kitchen and living room establishes a wide open space. The countertop features a food preparation area, a stove and a sink. This design is ideal for homes that don't have a lot of space to work with. In addition, the open concept of the kitchen also helps residents connect with the members of the family or the guests inside the house. 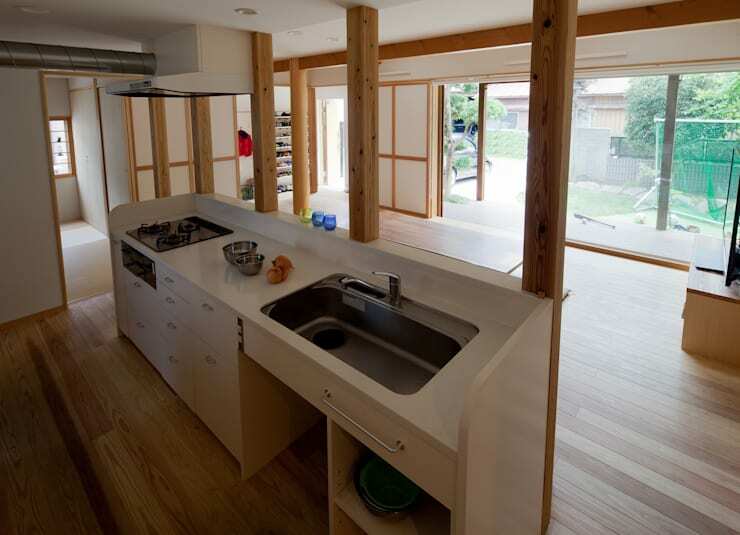 You can interact with people in the living room or walkways while you are inside the kitchen. As mentioned before the house is designed to be ideal for frequent gatherings with friends or family. 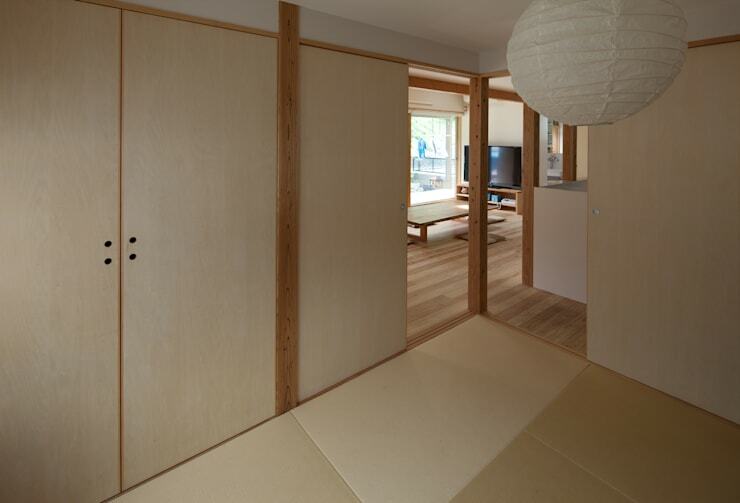 The traditional Japanese tatami mats are a great solution for making space for more guests as it doesn't require more furniture and at the same time it will give your modern home a more traditional Japanese feel. One of the design aspects that we failed to mention above is the use of both concrete and wooden elements throughout the house that are combined in perfect harmony. 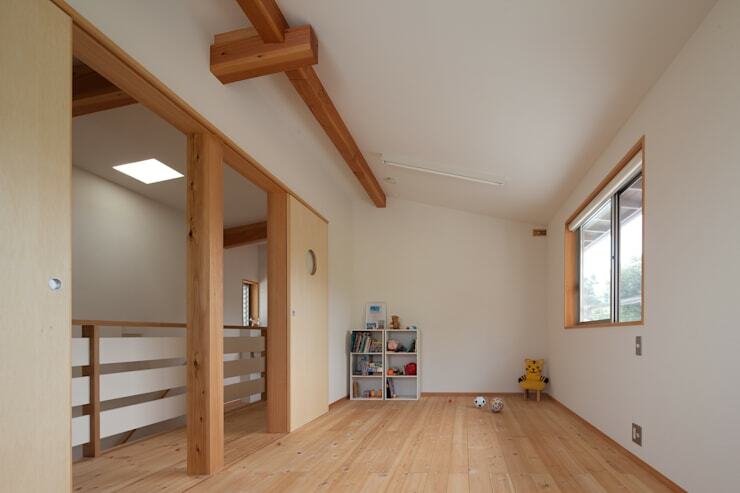 The use of light brown pine is also another popularly Japanese feature as it is easy to source locally and adds an air of elegance and charm to the simplicity of the Japanese style. The room up the stairs is a spacious open space that can have multiple uses to meet the needs of the family. It emphasizes minimalism by featuring simple furniture and a basic color palette of light browns and whites giving the room some texture and an all natural appeal.